Got this after battery died watching NFL Ticket in HDMI adapter that was supposed to be charging. Had to disconnect battery as nothing I did would allow me to move past this screen. There was an update pushed out Friday I believe, so yeah, everyone should be getting it. Looks like lg download mode. That's not an update. 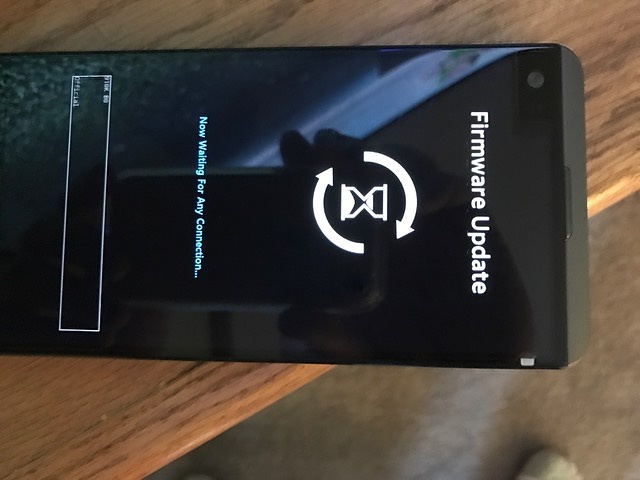 May have been Verizon specific, it was named Software version VS99511A. Again that specific screen shot is not that of an update from your carrier. It's lg download mode. That's why it's waiting on a USB connection. It's used with lg software on a 💻. It will stay there and do nothing until you reboot or connect it to a 💻 with the LG software installed to establish the connection and then check for an update through lg. A quick Google search for lg download mode may clear up some things for you. That's because it's not an update he's seeing. It is download mode present on every lg device that I know of. It's triggered by a button combination much like getting your phone into recovery is. so how would he reboot if no computer is set up? Is the LG Stylo 2 V an upgrade?